With the ‘killer clown’ craze still not showing any sign of going away, it was only a matter of time before something awful like this happened. New footage has emerged of a clown being run over by a group of teenagers, after it approached one of the guys and knocked them to the ground with a wooden plank. 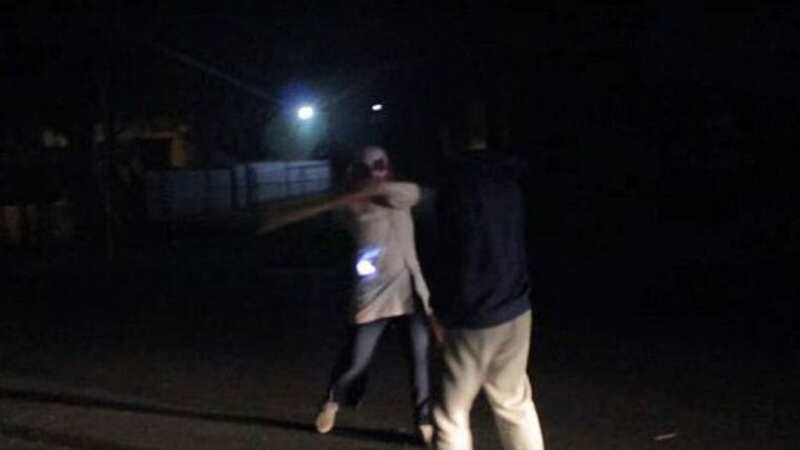 In the horrific video, an Australian teen is seen confronting the crazy clown, who then proceeds to hit him over the head with the wooden implement. Panicked by the escalating situation, one of the victim’s mates drives their vehicle head-on into the clown. Apparently the group had been driving around for hours, looking for killer clowns and it wasn’t until around midnight that they found one creeping about near an old factory. Once they spot the clown brandishing a weapon, one of the teenagers decides to get out of the car to talk to them. They immediately find out when the clown raises his stick and strikes the guy across the face, knocking him to the ground. The victim’s friend then proceeds to drive into the clown, who they seemingly knock unconscious as they find them lying face down in a pool of blood. What’s it seriously going to take to stop this madness?